We will be adding our App soon to our M-Fire Elimination Plan which will deliver coordinates in real time to Builders, Fire Departments and Insurance Providers. It starts with chain of custody from blending to what units in each building have been fire defended nationwide in real time and include a password and job name for each builder.With rapid adoption forcing changes across the building supply chains on the internet. M-Fire is ready to deliver real time data to those we are defending from arson attacks on wood framed buildings during construction. In this crazy political environment we have become accustomed to, M-Fire's vision is to deliver important information to our customers, the firehouses that are alerted and the risk management insurer with real time Internet logistics. With many builders asking for our Mighty Fire Breaker Job Site fire defense, we are accepting more responsibility. Our goal is to help their risk management insurance providers reward our builders by offering premium reductions to offset some of their cost to defend building during construction from fire. 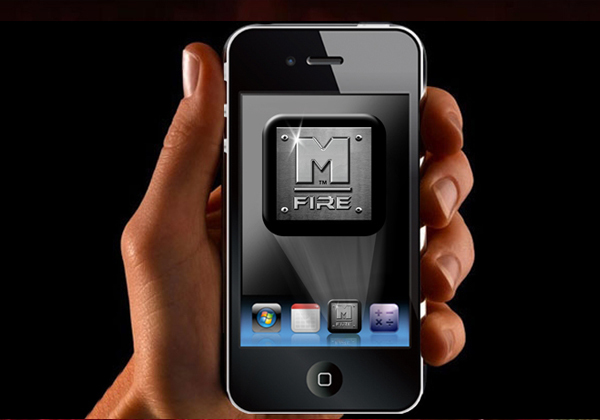 While many Apps have been on the market for years, M-Fires Steve Conboy and Fred Roberts have decided to develop a patent pending enterprise- level mobile App that serves all stakeholders across a true chain of custody from chemical blending to what our trained certified defenders deliver so no customer has to wonder when their assets are protected from fire consumption. Builders that work with us on our Fire Elimination Plan are helping everyone in the building industry. We are out to reverse the negative perception about wood framed building being a cheap way to build. This effort is also out to support lowering liability premiums reduced for builders that proactively defend wood framed buildings from fire.